Earlier this week I got to spend some time at Tom Gray's pottery in Seagrove. Tom and I both have a passion for pizza. 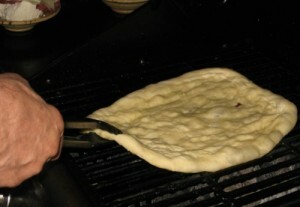 Tom out did himself by grilling us up a pizza for supper. 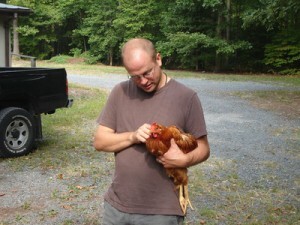 Tom has 9 or so of these beautiful New Hampshire Red chickens. I'd never held a chicken before. Tom surprised me with his lighting like skill of snatching a chicken up by the feet and handing me the bird.